Radiant Doors . . . the Series? Lock Up the Chickens! Change the Passwords! This is, I believe, the best version of Surplus to date. Check out that expression! His marks don't normally get to see this aspect of him. And this is the first attempt to capture the likeness of Aubrey Darger I've ever seen. Artist Manuel Preitano captures, I believe, the quintessential Britishness of him. 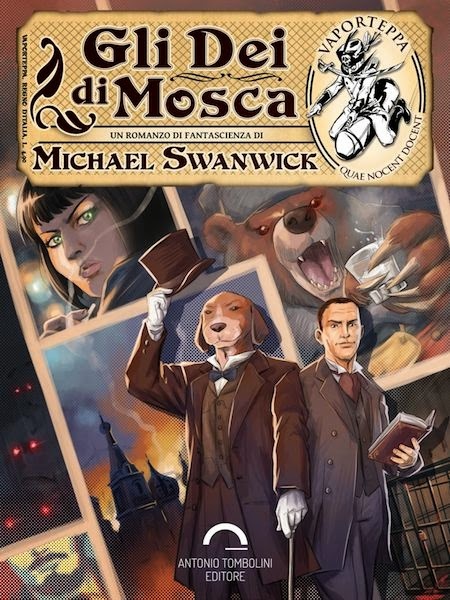 Gli Dei di Mosca (The Gods of Moscow), the Italian translation of Dancing With Bears, went on sale in e-book form today. You can order it here or here. And the paper version goes on sale in only a few weeks. You can read about it at the publisher's website here. You can argue about the physical appearances of Darger & Surplus if you wish, of course, and it would be a sign of affection if you did. Because those fictional characters we most care about exist most convincingly inside our heads, where we do not so much see them as feel their rightness. But is that a terrific portrayal of Anya Pepsicolova or what? 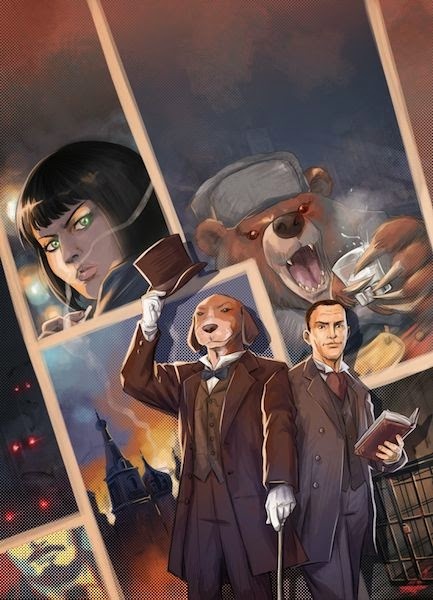 When Anya first appeared in my novel, she was a minor character, a way of getting Darger to a certain place in subterranean Moscow, and I had every intention of keeping her minor. But Anya had other ideas and kept grabbing a bigger and bitter piece of the plot. Writers really like characters like that. Below is Preitano's original artwork, before it was defaced with things like the title and my name. Just so you can admire it some more. I like how deftly it avoids giving away too much of the plot. This is actually Friday's blog, posted a day early. Just to give Gli Dei di Mosca a tiny bit more exposure. I suppose Darger's face might look more nondescript to me if I was Italian. I think I might just be able to pick him out of a crowd though. As described, Darger is pretty much impossible to illustrate. Your eyes would glaze over and you'd look away -- which is exactly what an illustrator is supposed NOT to make happen. Google Images shows that the artist was successful. Darger's face could be anybody's, as you can see here.